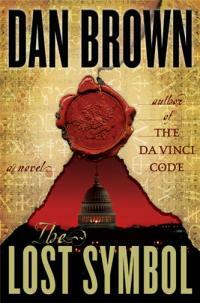 My, review of The Lost Symbol, Dan Brown’s follow-up to The Da Vinci Code and Angels and Demons, is now up at thefish.com. The Fish is a new Salem site that takes “a Christian look @ pop culture.” I’m happy to be picked up by this second site. They’ve also picked up a couple of my previous articles for crosswalk.com. That’s fun! The Lost Symbol a controversial book because many Christian readers don’t appreciate the irreverent tone Brown takes regarding Jesus and the Bible. That’s one way to look at it. And just for fun, build your own Dan Brown novel with the Dan Brown Plot Generator. This entry was posted in culture. Tagged crosswalk, Dan Brown, review.